21 March 2017 PARLUX AND ANTI-COUNTERFEITING: 2017 EVENTS ARE SATIFYING! Please leave us your e-mail address to receive our newsletter. We will update you wirh news from our blog. 13 April 2016 New Parlux ADVANCE® - The hairdryer of the future! As recently occurred at the Cosmoprof Worldwide Bologna 2019. Parlux, the first Italian company in the industry to pursue this penalizing phenomenon both in Italy and abroad, continues its tenacious activity to protect its brands and patents. The search for counterfeit Parlux products on the web, in shops and during trade fairs in Italy and abroad is constant and demanding, but the legal department of the Milanese company, always attentive to these phenomena, is constantly receiving positive feedbacks and encouraging successes. 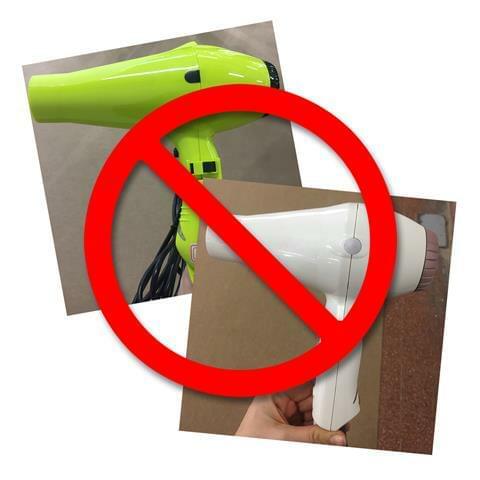 During the recent Cosmoprof Worldwide Bologna 2019, some products on show at the booths of two Chinese companies were deemed copies of Parlux hairdryers, in this case Parlux 3200® and Parlux 3500® thus confiscated by the Italian finance police. Their marketing was immediately banned at the fair during the opening days of the event and counterfeit hairdryers were promptly removed, even publicity catalogues. Obviously all these copies have to be removed now and in the future. Understandably, the Chinese producers/distributors present at the Cosmoprof 2019 have been charged. In fact, remember that any Parlux counterfeit item, produced, imported, distributed or purchased both in Italy and in other countries, may be prosecuted by law; all counterfeiters must stop the production and marketing of registered Parlux products or suffer the related unpleasant consequences.